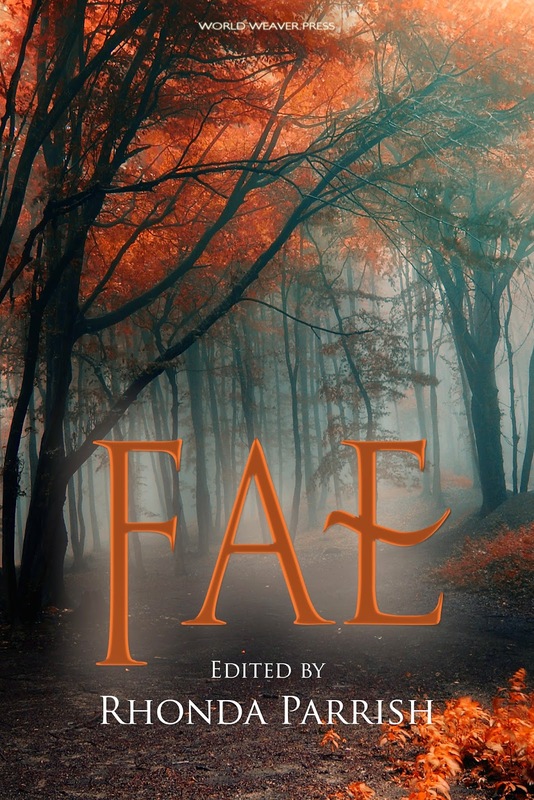 Today I'm thrilled to be featuring interviews from several authors of the Fae Anthology by World Weaver Press! Meanwhile, I saw a delightful production of A Midsummer Night’s Dream at our local repertory theater, and they had a lot of fun with the fairies. Jennifer Johansen, who played Titania, is one of my favorites, and her portrayal stuck in my mind, blurring Shakespeare’s Fairy Queen with the strength of other characters Jen has played. The opening concept – immortality was evolution’s biggest mistake – had been in my idea file for years, waiting for an opportunity. And then I over-dosed on dark chocolate and everything was a blur, and when I came to, “And Only the Eyes of Children” had happened. Sort of. I haven’t written much with traditional Western fae, but I’m definitely not new to folkloric fiction. My Kitsune Tales series is set in old Japan and revolves around the youkai there, sort of the equivalent of our fairy and monster collections. I departed a bit from traditional lore. Robin is half-Fae, an oddity resulting from the Fae’s (usually fruitless) attempt to breed. We’re given to understand that human-fae offspring are relatively rare and often carry a heavy biological penalty. Robin has to work at bit harder at many Fae skills, such as the use of magic, but it’s possible. “A Fairfolk Promise” was inspired by a photo I had pinned to my Writing Prompt board on Pinterest. I can't seem to find the artist or original link—but it's an image of a man strung up like a scarecrow. The colors are all faded and dark and creepy and it's a very arresting image that really captured my imagination and inspired the 'scarecrows' in my story. This is the first 'fairy' story that I remember writing. There may have been others, but they don't spring to mind. I may play with faries again in the future—like any other fantasy creature, there's so much you can do with them, even throwing them in unique settings like a spaceship or a desert, and so on. I did some research about fairies, but it seems there are vast amounts of information out there and I didn't sift through it all. The fairies of “A Fairfolk Promise” are, thanks to my research, harmed by iron. I think that's a particularly symbolic weakness, as many fairies are extremely nature-oriented (as mine are) and what symbolizes man and the industrialization of our kind more than iron? I also allowed my fairies to shapeshift—I'm not sure if that's part of fairy folklore or not, but it became necessary for the story to work correctly. I wrote my story as part of a Codex Writers' Halloween contest. I was provided two distinct prompts: a luopan, which is a Chinese magnetic compass used in Feng Shui, and lichtenberg figures, the scarring that results from a lightning strike. The luopan put me in mind of maps, and from there I thought--what if there was a map in fractal burns on someone? What would cause that? No, I've written and published a number of fairy poems and stories, including a steampunk-fae tale in "Stitched Wings" in Beneath Ceaseless Skies and a story in the forthcoming B is for Broken anthology. Fairies are such an important part of the fantasy genre, and there are common elements in fairy-like mythologies across the world. It's something universal and accessible. In the case of my story, that would be a major spoiler! I'll withhold the name.